A personal blog by Canadian microbiologist 'Yuri' containing many years worth of high quality images of microbial subjects (macroscopic and microscopic), including many fungi and of course Aspergillus. BEI Resources was established by the National Institute of Allergy and Infectious Diseases (NIAID) to provide reagents, tools and information for studying Category A, B, and C priority pathogens, emerging infectious diseaseagents, non-pathogenic microbes and other microbiological materials of relevance to the research community. BEI Resources acquires authenticates, and produces reagents that scientists need to carry out basic research and develop improved diagnostic tests, vaccines, and therapies. By centralizing these functions within BEI Resources, access to and use of these materials in the scientific community is monitored and quality control of the reagents is assured. BEI Resources has been managed under contract by American Type Culture Collection(ATCC) since 2003. A seven-year contract to continue managing BEI Resources was awarded to ATCC in June 2010. The scope of the contract expanded in 2010 to a more comprehensive catalog of research materials, including those deposited by other Government-supported research projects, to be made available to the biodefense and emerging infectious disease scientific communities. Fungal, Parasite, Vector and other relevant Materials have been added to the existing Bacterial, Viral and Toxin reagents which cover NIAID Category A, B and C Priority Pathogens and NIAID designated emerging infectious disease agents and organisms. The BEI Resources program reflects a coordinated effort between NIAID, CDC, USDA, and ATCC. You can search our catalog of reagents for a list of items in our current catalog. Materials from the Department of Defense Critical Reagents Program (CRP) may also be requested through BEI Resources. Scientists must be registered with BEI Resources to request materials. The currently used identification methods of agents causing human mycoses have serious limitations, are time consuming and require special trained personal. However to enable an informed choice for proper anti-fungal treatment an adequate identification at the specific level is necessary. DNA sequencing is an alternative to classical fungal identification. The Internal Transcribed Spacer (ITS) regions of the ribosomal DNA gene cluster is now widely used in clinical laboratories for fungal species identification. We have generated quality controlled ITS sequence data representing the actual sequence variation found in a species. Thanks to eleven contributing research groups from all around the world the database currently contains more than 3200 sequences representing 524 human/animal pathogenic fungal species. Users are encouraged to submit their full dataset to the curators of the database, to enable the build up of comprehensive global ITS database of clinically important fungal pathogens. The medicinal value of shiitake is not really well appreciated in Western medicine, though it has a long history as a valuable remedy in traditional Asian medicine. Research on the chemicals present in Lentinula edodes seems to be revealing medical products and it may become a valuable resource in fighting diseases. Ergot is a fungal infection that has infected rye and other plants since farming began. One of the constituents of ergot, the ergot alkaloids, were found to have useful medicinal properties. Ergot was known to cause gangrene in the limbs of those who had ingested infected bread. But later its first medicinal property as a powerful oxytocic (facilitating childbirth) was discovered, and more recently its derivatives have been used in the treatments of migraine. It was the alkaloids of ergot that were found to be the active components in their pharmacological actions, starting with the first pure alkaloid to be isolated, ergotamine. This review covers the history of ergot and the ergot alkaloids and tries to show how ergot went from being just an infection of grass to its alkaloids being the active component in many drugs, especially those in the treatment of migraine. The mechanism of action of the ergot alkaloids is also explained. Traditional Chinese medicine (TCM) uses many products derived from fungi, including Lentinula edodes (shiitake). Evidence, in the form of published papers, regarding its usefulness has been examined. The review finds that the anti-tumour claims are substantiated, especially those of the lentinan polysaccharide isolated from shiitake. Lentinan is also found to be an immunomodulator, although the medicinal value of these findings are yet to be reliably established. Cholesteremic effects were shown but there was disagreement over the details of the effects. It was concluded that Lentinula edodes does have much potential in medicine but further research is needed. Ask to what they are related and you'll probably find that some people think fungi are plants...others think they might be bacteria. ‘How many of you think that fungi are bacteria?’ is a question posed at a recent Summer School for year 10 pupils (4th year in secondary school, and about 16 years of age at the time), by one of the pupils who had attended a workshop session of ours. When all attendees (approximately 170 pupils) were asked 'Hands up all those who think fungi are plants', about 15 hands went up, but when asked 'Hands up all those who think fungi are bacteria', at least 150 hands went up! As teachers we are used to battling against the mistaken idea that fungi are plants, but it was a shock to find that so many pupils believe that fungi are bacteria so close to the end of their statutory education. After all, it’s a bigger error than for them to think that whales are fish; at least whales and fish are in the same biological Kingdom. Does such ignorance matter? We say it does. The practical reason it matters is because the activities of fungi are crucially important in our every day lives. The educational reason it matters is that fungi form what is arguably the largest kingdom of higher organisms on the planet. Ignorance of this kingdom is a major blot on our personal education. Fungi are not bacteria, because fungi are eukaryotes and they have the complex cell structures and abilities to make tissues and organs that we expect of higher organisms. Fungi have been influencing human affairs for thousands of years, whether as a direct food source, as a medicine, or in a food process . 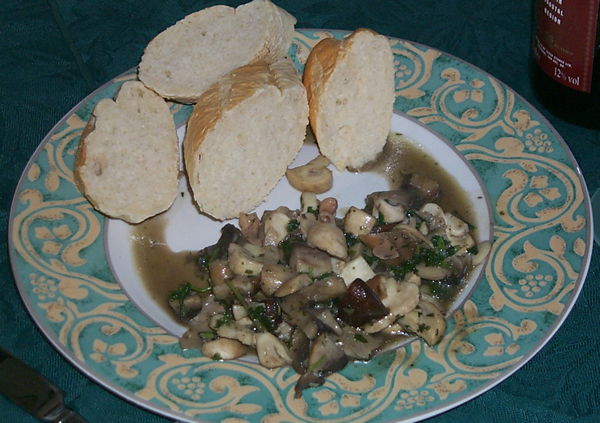 Today food of fungal origin is consumed all over the world in vast quantities, and commercial production is part of a rapidly growing industry. 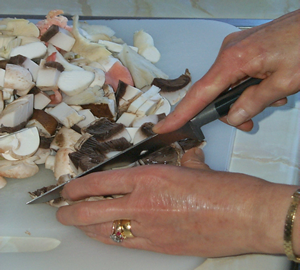 Fungi are of excellent value nutritionally, and of great importance to vegetarians. 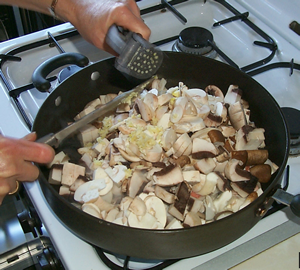 Edible mushrooms have high protein content, and are an excellent source of fibre, vitamins, and some minerals. Efforts to combat anticipated world food shortages, led to the production of ‘single cell protein’, grown in industrial fermenters using yeast cells. The result is a protein extract with high amino acid content potentially favourable for use in human nutrition. One particularly successful model was that of myco-protein, marketed as Quorn™. 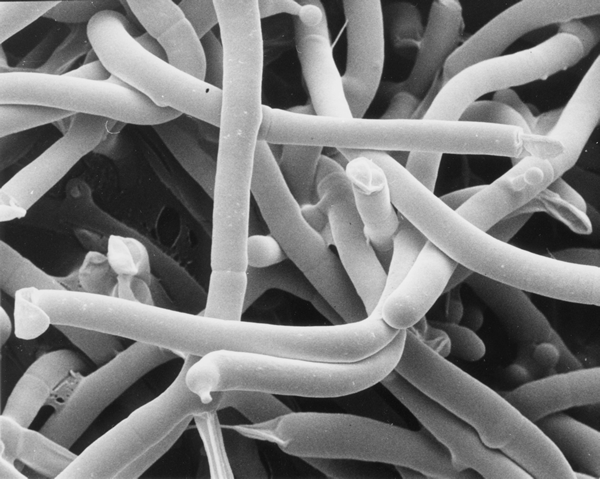 Essentially the mycelium of Fusarium venenatum, its filamentous nature much resembles the fibres of meat. Quorn is now available in supermarkets, marketed as a high-protein, low-fat, cholesterol-free ‘meat alternative’. When it comes to fungi as a food source, many people are apprehensive and much education is needed before the true nutritional value of such a cheap, readily available food source can be fully realised. Our use of fungi is usually hidden from view, so the way we most often directly encounter useful fungi is as part of a meal of mushrooms! Mushroom cultivation is important, and I will say more about it below, but it's not the only way we can and do make use of fungi.